Short Description: The harmonized title the UCF team has given all those who either publish or promulgate authority documents. Long Description: The primary goal of the Issuers table is to provide a single list of research sites to the entire GRC and compliance community. Prior to the existence of this research site list, organizations and educational institutions were creating and updating their own research list sites. Because the UCF is in a unique position research-wise, we have made our global research list available to anyone and everyone who wants to use it, as well as anyone and everyone who wants to contribute to it. Because this list is open to the public, the UCF team is more “lax” on strict naming conventions and categories, as we hope to use this extra “wiggle-room” to grow the list substantially. 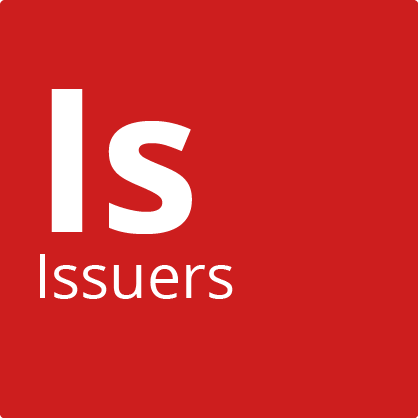 Module 3: Presentation Part 2 > What is an Issuer? The Category is a direct reference to the parent_category found within the Authority Document List. Within this Issuers list, the Category starts there, while we allow end users to provide additional category suggestions in order to grow the list. Within the Authority Document table, the document_type is based upon a choice of items listed in their legal hierarchical status, as defined within the document_type, documented below. The document_type list uses this list as a starting point, but doesn’t limit the recordset to this list in order for the list to grow organically. Therefore, we’ve set this as a string instead of pre-defined list. An issuer is the harmonized title the UCF team has given all those who either publish or promulgate authority documents. Technically, a publisher is a firm in the business of issuing printed matter for sale or distribution. However, when it comes to laws, the correct term is promulgator. A promulgator is the legal body that announces a law as a way of putting it into execution. This is distinct and different from a law’s publishing office that prints and distributes the law. Sometimes the promulgator will have a domain under which to find their authority documents and sometimes they won’t. Therefore, we use the harmonized term of issuer to cover authors, publishers, and promulgators. The issuer’s name might be a source of ambiguity because there are many ways to express the names of companies and other organizations. Therefore, our determination is the name used for the issuer should stem from the highest organization-specific label of the issuing organization's fully qualified domain name (FQDN) and URL directory where the document is made available. Even if the domain name is different from the organization’s name, your organization must use the domain name for the Issuer Name. This is the Unique Resource Locator of the issuing organization in fully qualified domain name (FQDN) format – as well as the top level directory of the issuer if the issuer does not have its own domain name. This is the subdirectory within the Issuer's website wherein the Authority Documents have been found. This is the stripped down Top Level Domain (TLD) of the Issuer.